Welcome to Eckert Renovations. Our commitment to detail has made us the go-to experts for all of your custom tile installation ideas. We are highly skilled professionals who stand behind decades of experience in installation, design, selection, and quality. The benefits of tile installation are boundless. When you partner with Eckert Renovations, our educated professionals will help you make your kitchen, bathroom, basement and any other tiling project ideas come to life. Eckert Renovationss advanced tools, technology and installation techniques, combined with the durability and moisture resistant quality of our tile will give your space a long lasting beauty that is easy to clean. Our professionals understand when you make an investment in new floors, a wide selection is fundamental in achieving 100% customer satisfaction. Let us work with you to make your renovation dreams a problem free reality. We specialize in providing you a vast selection of tiling at a cost per square foot that will allow you to really enjoy your new space when it’s finished. Many of your community have been enjoying the benefits of tile installation in every room. Call us today for a free quote on your vision, whether it be classical, contemporary or something totally unique to you, let us get to work on matching your surfaces with your personal taste and style. Join us in our showroom to experience what many others already know. 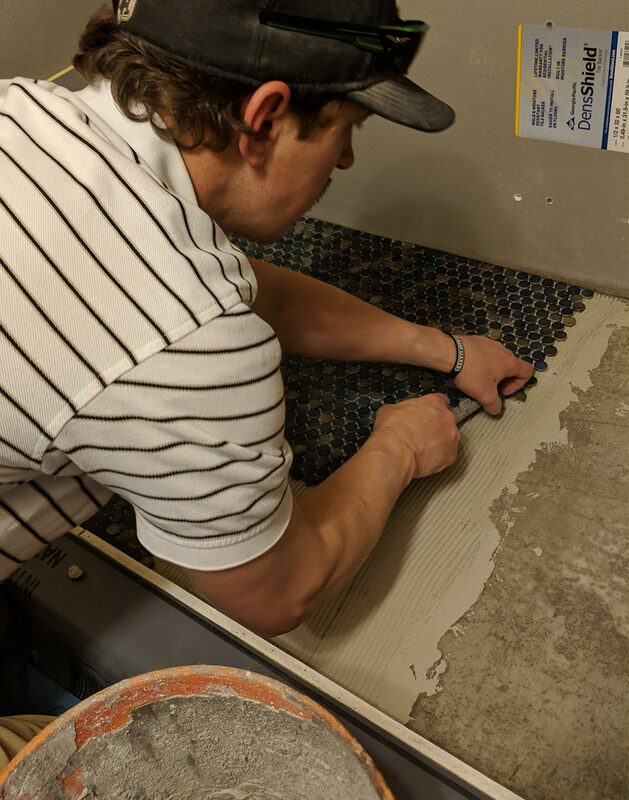 Eckert Renovations professionals are committed to customer service and will work with you every step of the way, to fundamentally understand your space and the scope of your tiling project. Selecting the perfect design, size, quantity, texture and shape for your project can be nerve racking on your own. Eckert Renovations will get it right the first time so you can enjoy life while our team takes care of measurements, installation and delivery. 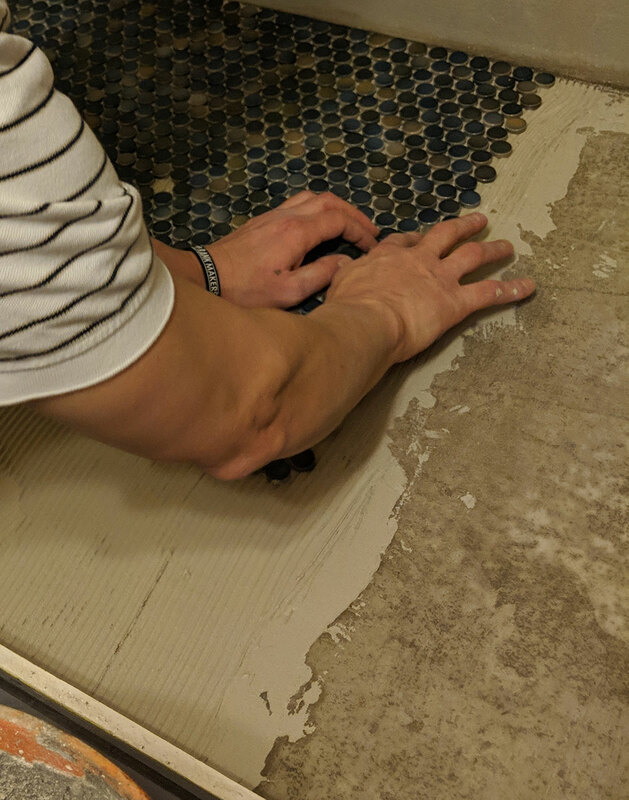 You can have a mess free, worry free, hassle free tile installation experience from start to finish – Just give us a call or stop by our showroom to get started now.